The 90s are back and the trends are hitting fashion boutiques across the world. And the styles are becoming some of the hottest looks of the year, with there being no sign of it slowing down. These trends can be seen all across the fashion world, from clothing to footwear and accessories, and even hairstyles. One industry that is pretty big on this trend is footwear. And sneakers are a huge part of it. Think about the sneakers you used to wear as a kid, or even the ones you remember your parents wearing. This year, those looks are back and at GuidoMaggi you can explore the Sneakers Capsule Collection that is filled with on trend designs and contemporary twists. The Italian shoemakers at GuidoMaggi have designed and developed an entire collection to deliver the hottest trend in fashion right now: 90s sneakers. But the sneakers in the collection can do more than simply keep you on trend. This stylish collection features sneakers that can increase your height by up to 3.1 inches without anyone knowing. This hidden technology can boost your confidence and designed to offer maximum comfort, as well as be practical for your casual wardrobe. 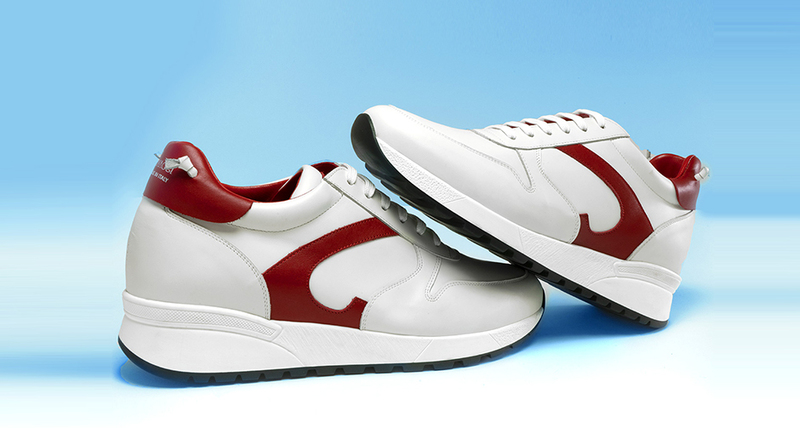 The White Sand model will update your wardrobe and add that nostalgic 90s touch to your outfit. They feature an all white design for a stylish and fresh appearance. Their hidden elevator system can increase your height from 2.4 inches up to 3.1 inches, giving you a customized fit. The White Sand elevator sneakers are designed to be extra comfortable and lightweight, with a natural rubber sole, full grain leather upper and ventilated technical fabric to allow for breathability. These can be worn with whatever 90s style you’re sporting, as they will enhance any outfit because of their white colors. But they can be easily worn with washed blue denim jeans and a T-shirt to rock a simple, classic 90s look. The Sneakers Capsule Collection offers a range of designs to suit all tastes, including suede detailing and bright colors. These elevator sneakers combine the urban street styles of the 90s with the highest quality fabrics and craftsmanship to create a fashionable look with the bonus of the height increasing technology.